If not for this U.S.-sponsored flood of guns, the Syrian rebels — many of them from Saudi Arabia and other countries — would have been militarily defeated long ago. Tens of thousands of lives would thus have been spared and a million refugees could have remained in their homes in Syria. The large scale ethnic cleansing initiated by the rebels would have been preventable. Obama is a Nobel Peace Prize carrying war criminal. A regional Iraqi election candidate has narrowly escaped an attempt on his life after a bomb found in his home was disarmed. Others have been less fortunate, 5 candidates were killed in assassinations, bombings and raids this month. The attacks target both officials and voting stations and are believed to be the work of al-Qaeda cells. Former MI5 agent Annie Machon gives her perspective to RT. Note that Machon calls the war illegal. This is a fact. Bush, Blair and associates still need to face war crimes charges. Russian authorities searched the Moscow offices of New-York based Human Rights Watch yesterday as they stepped up raids against pro-democracy groups despite growing EU concern. HRW’s Europe and Central Asia department head Rachel Denber said three representatives from the prosecutor’s office and a tax official had begun what they called “an unplanned inspection” of the Moscow office. She said the Moscow headquarters of the Civic Assistance refugees centre and of the Transparency International corruption watchdog had been raided in a similar manner. “This is part of a massive, unprecedented wave of inspections of NGOs (non-governmental organisations) in Russia that is intensifying pressure on civil society in the wake of the adoption of a number of restrictive laws last year,” Denber said by e-mail. The raids followed President Vladimir Putin’s signature of a law that labelled Russian political organisations with Western funding as “foreign agents” that required more rigorous checks. Putin blamed the US State Department for funding the protests that rose against his return to the presidency last winter and moved quickly against the NGOs once confirmed to power in May. Putin is running a counter-intelligence/counter-insurgency operation here. With the US using 'human rights' as cover for war in Libya and Syria, while ignoring State crimes in Yemen or Bahrain, and funneling heroin out of Afghanistan via proxies onto the black market, plus funding Islamic extremist groups globally, the Russians should be very concerned with efforts to destabilised their country. Mindless Media Parrots | Brainwash Update . Amazing clip. This is gold. In this episode of the Keiser Report, Max Keiser and Stacy Herbert discuss the previously successful UK economy which who has become addicted to gambling and spending fortunes on spread betting and so has turned to operating ponzi schemes in order to keep the appearance of economic activity. In the second half of the show, Max Keiser talks to former Scotland Yard fraud squad detective, Rowan Bosworth-Davies of Rowans-Blog.blogspot.co.uk about the evidence he gave to the Parliamentary Committee on Banking Standards that went missing and how it is that the British banking system is remarkably similar to an organized crime racket. A Vital History Lesson for anyone with half a brain living in the 21st Century. This clip explains a lot of what we see in the Corporate News concerning ongoing conflict around the world - particularly in the Middle East. Mortar shells have been fired at Damascus university, killing at least 15 people and wounding another 20, according to Syria's state television. The government blames rebels for the attack, which comes amid intensified fighting between the army and the opposition around the capital. In this episode of the Keiser Report, Max Keiser and Stacy Herbert discuss the PLUNDERBALL games in Europe and how the United Kingdom turned from Aspiration Nation to Asphyxiation Nation. They also talk about the 'mega-caust' of the financial markets in which those who worried about their gold being confiscated have now lost their bank deposits instead! In the second half of the show, Max Keiser talks to Mitch Feierstein about the implications to all bank depositors of the confiscation of some funds in Cyprus. These are the same salafist jihadists who are flooding the Syrian borders from Iraq, Libya and every other salafist hellhole – backed fully by the US, UK and France – and paid for by the Saudis and Qataris. It is no wonder the UK and France were pushing back against a UN investigation of the attack this week. The Telegraph reports that the military source who spoke to Channel 4 News confirmed that artillery reports from the Syrian Army suggest a small rocket was fired from the vicinity of Al-Bab, a district close to Aleppo that is controlled by Jabhat al-Nusra – a jihadist group said to be linked with al-Qaeda and deemed a “terrorist organization” by the US. The fighting in Syria is thanks to Western intervention. There would be no war without this criminal support. The situation is getting desperate in Guantanamo with many of the hunger striking inmates prepared to die, federal public defender Carlos Warner told RT, stressing that his client is calling on the Obama administration to either 'respect or kill' them. None of these people ever represented a threat to the USA because 911 was an inside job. Those captured in armed conflict only ever reacted to US aggression. From an intelligence perspective 911 was most likely an inside job. 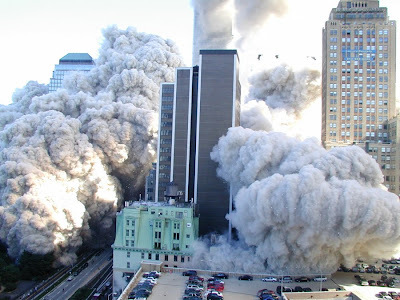 From a scientific perspective the evidence of melted steel, the thermite traces (conventional and explosive), the freefall collapse of WTC7, the explosive ejections of debris, and the eyewitness reports plus recordings of explosions PROVE the attacks were an inside job. For more on the scientific evidence please visit Architects and Engineers for 911 Truth. A new global bank is being born in South Africa - where the world's top emerging economies are meeting. The new financial powerhouse would be a direct challenger to the World Bank and the IMF - both dominated by the US. Brazil, Russia, India, China and South Africa also green-lighted a new, mammoth crisis fund - and hinted they would ditch the dollar. The IMF and World Bank can eat dirt. The world will be a better place once these corrupt institutions are sidelined. Note: Dawson is talking about the 'disinformation kooks' who are poisoning the well by pushing outlandish, and baseless theories, as opposed to the disinfo trolls that are defending the official story. One thing is for sure, this whole process is slowly but surely providing a great education for many people - teaching them to be independent thinkers! Dawson's summation is worth reflecting upon. We must look at the data and the players involved, whilst being prepared to play devil's advocate, and ditch hypotheses that have a low chance of being correct. The Pentagon missile theory makes little sense considering the wreckage and damage to the building. The most likely hyopthesis, one that accounts for the majority of the crime scene observations, would favour using a large airliner as the weapon. The following is a letter sent to the ABC program Lateline after watching an interview with Sir Bob about fixing the corrupt corporate system. He saw that the corporations were causing no end of trouble to people everywhere - in the first world and also in the third world. Mr Geldof advocated throwing the whole thing away - something that is pretty difficult to achieve. Thanks to experience gained in the online media (via the Keiser Report or the writing of Paul Craig Roberts) we can imagine that many of the problems we see today are a result of bonafide criminal activity and can be solved through the enforcement of the Law. This is a simple message that any activist can take onboard. 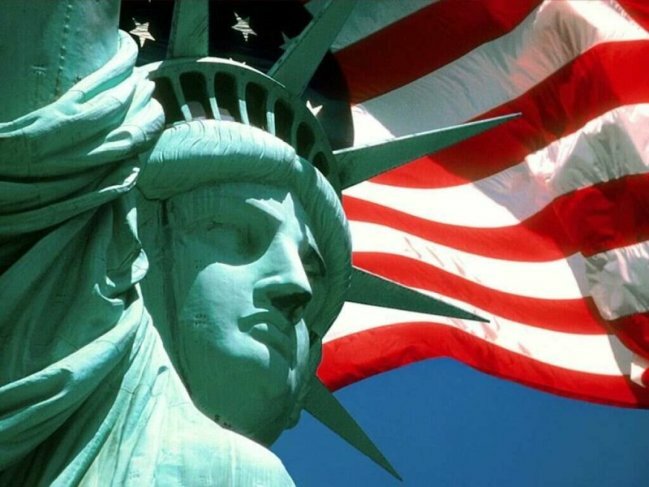 Much of the troubles and inequality we face today would be ended if Laws were enforced by the US Justice Department and by Law Enforcement officials in London. Some Laws that prevented destructive activity have been recently revoked. Two things need to happen. Old Laws must put back in place, and existing Law enforced. When we can fix the problems in the first world we will become more equitable towards 3rd World Countries. Consider when huge banks commit acts of fraud (google ex-Savings and Loans prosecutor Professor William Black for analysis) and nothing is done, and where Laws going back to the Great Depression are revoked (Glass-Steagall, under the Clinton Admin), and where campaign finance Laws are removed or made irrelevant (Super PACs). Through thee actions we open the door for money stealing and the victimisation of the poor and middle class by predatory individuals existing at the heart of the financial and corporate sectors. Likewise, when we have US Presidents authorising torture, engaging in illegal wars (along with the British), and nothing is done, we see the wealth of Nations chewed up to serve the interests of the few. Corporate coffers are filled and the changed landscape facilitates more of the same with little real criticism coming from the corporate press. Fraud, torture and aggressive war are no longer identified by their real names thus masking the criminal nature of these endeavours. This is the same situation we see in resource-rich third world "basket case" countries. When the Law is not applied to protect the people we see advantages created, often organically, to serve those with a hold on power. The advantages serve the political and corporate elite - not the country as a whole - and are almost wholly criminal in nature (racketeering, kickbacks, fraud etc). There is no trickle down benefit to the poor. Saving the bankers and placing their losses on the people, like what happened in Ireland, did not help the people or economy. There was no trickle down benefit. Prosecuting bankers for fraud, like in Iceland, and having the Government protect the people, lead to growth and relative salvation. The difference here is in the application of Laws. In the West and in the Third World the problem is the same. The wealth of countries, via finance and resource acquisition, are being concentrated towards the top. Where we do not see Law or Justice served then we must deal with human issues of greed, narcissism, the corrupting nature of power, and other psychological conditions that apply to those that covet or inhabit positions of power. In this episode of the Keiser Report, Max Keiser and Stacy Herbert the new world order called Yes, No, Maybe in which secret downgrades and confiscation plans are certain only to a few insiders whilst chaos and confusion reigns for the rest of the population. In the second half of the show, Max Keiser talks to Leah McGrath Goodman, author of The Asylum: Inside the Rise and Ruin of the Global Oil Market, about the definitive proof that oil markets were manipulated to $100 in 2008 by ConAgra traders and what the US government response was to the information. Did Obama Give Israel Go-Ahead With Syria? The sequence of events leads one to ask, what did the two leaders, Obama and Netanyahu, discuss regarding Syria when they met multiple times this last week in Jerusalem? And what did they agree to do to deal with the Syria issue? The answers aren’t immediately clear. Abby Martin takes a closer look at the continued use of depleted uranium, and the impact of DU contamination on the lives of innocent Iraqis. This is the horror of US warfare. It is war crimes warfare. D.U. weapons must be banned immediately and those who authorised its use prosecuted. March 19, 2013. 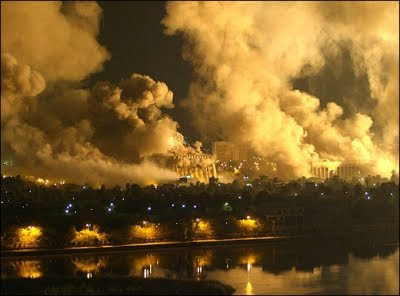 Ten years ago today the Bush regime invaded Iraq. It is known that the justification for the invasion was a packet of lies orchestrated by the neoconservative Bush regime in order to deceive the United Nations and the American people. New research suggests that post-traumatic stress disorder is linked to social morality, a finding that helps elucidate the relationship between politics and veterans’ mental health. Participation in the illegal and unnecessary war in Iraq would not have helped many in the armed forces. There's ongoing uncertainty in Syria after its opposition Coalition chief said he was quitting - only for members not to accept his resignation. This, as new rebel claims emerge of government forces using chemical weapons against them. The BRIC countries need to fully support Assad via actions against the Western countries that support the conflict. Since the U.S.-led violent regime change in Libya, Hassan El Amin, chair of Libya's parliament human-right committee told a U.S. newspaper reporter than rights abuses are worse there than during Gadhafi's leadership. “I have so many concerns about human rights violations in Libya, it is getting to a stage where it is even worse than during Gadhafi’s time,” El Amin told the Washington Times. “A lot of facts have become clear about human rights abuses [by the militias], the continuous attacks on the government, the kidnappings, and all of this is setting off a warning bell for the Libyan people. The militia is the transitional government’s armed forces, according to USA Today. The hunger strike among prisoners at Guantanamo Bay is into day 48 - but their plight's still struggling to garner wider attention. Lawyers say over 100 inmates are refusing food - and are concerned about their deteriorating health. Prison officials continue to downplay the protest, and there's little coverage in the U.S. media, as Marina Portnaya explains. William Black: From London to New York to Cyprus, Fraud and Financial "Insanity"
Professor Bill Black: Standard Chartered admits to fraud, no one fired or prosecuted; Cypriot people force government to give up on taxing smaller depositors. Professor Black cuts to the heart of the matter - corruption and outright fraud. Abby Martin takes a look at how 10 years after the US invasion of Iraq; the same war drums are beating for new military engagements in Iran and Syria. O-blah-blah-ma: 'US Offers Endless Talks' to Kill Clock for Israel Against Palestine? President Obama's Middle East tour has resulted in mixed feelings both in Israel and Palestine - with no tangible results despite his calls for peace. Palestinians, who greeted the US leader with protests, were disappointed by his show of unwavering allegiance to Israel and lack of pressure over the issue of settlements. Obama was more restrained on the problem than before, saying that stopping settlement construction should not be a precondition for peace talks - at a meeting with the Palestinian leader. Everything that is going on under the occupation is illegal under International Law. The Israelis must remove themselves unconditionally from the land. In this episode of the Keiser Report, Max Keiser and Stacy Herbert discuss central bankers injecting meth into their eyeballs and Freddie Mac then pushing the meth labs onto unsuspecting investors and homebuyers through sales of foreclosures. They also discuss the bold print of the Constitution that should trump the small print of the so-called sacroscant contracts of collateralised debt obligations and other bogus derivatives. In the second half of the show, Max Keiser talks to Marc Hochstein of AmericanBanker.com about whether or not bitcoin is a ponzi scheme and about the issue of privacy in banking and financial transactions. Alex also talks with trend forecaster Gerald Celente about the disintegrating economy and what is in store for America in the months ahead. A good review of events that have occurred in recent months. UN chief Ban Ki Moon has pledged to send a group of independent experts to Syria to investigate an alleged chemical attack near the northern city of Aleppo. Both the government and the opposition have called for the probe after trading accusations as to who was behind the assault, which killed up to 31 people on Tuesday. Abby Martin talks to US Congressman, Dennis Kucinich, about the 10th anniversary of the Iraq war and other issues that set him aside from the average establishment politician. Abby Martin looks at a new petition calling for politicians to display the names and logos of their corporate sponsors on their suits and highlights what a few politicians would look like if this petition went into effect. This is an excellent clip. In the process of revealing corporate sponsors Abby mentions that Nancy Pelosi blocked Impeachment efforts against the Bush Administration (true) and that John Kerry did not contest the obviously rigged vote count in the 2004 Presidential election. These people are a disgrace. Truth in media! You won't hear honest summations like this in the mainstream media. Wi-Fi connects electronic devices to wireless computer networks (wireless LAN) using electromagnetic radiation. Wi-Fi is installed in homes, schools, offices, stores, hotels, coffee shops, airports, libraries, hospitals, public buildings and even entire sections of cities. Wi-Fi signals are, unlike TV and radio signals, strong enough to penetrate concrete walls. Many health experts consider Wi-Fi radiation to be dangerous. The lie, policy papers, and government officials, from the Pentagon down to the speech writers who pushed for the case for war against Iraq were 100% Neocons, 100% tied to Israel, it was not a war for oil, it was a war for Israeli power. This is an excellent account of how we ended up with the Iraq War. It also covers the Anthrax attacks too. The Anthrax came from a US bio-weapons lab, not Al Qaeda or Iraq. And the Anthrax was posted from locations near the hijacker cells. So even though the hijackers had no access to US military bio-weapons someone close to them did - who likely knew about the hijackers. What happened with Iraq was criminal. War crimes trials still need to be held. There is no statute of limitations for murder. A top US general says the hunger strike among Guantanamo Bay prisoners shows their frustration with the government's failure to close the facility - rejecting reports it's over mistreatment and the desecration of the Koran. The number of participants acknowledged by the Pentagon has now risen to 25 - but detainees' lawyers maintain it's more than one hundred. Former Democratic Congressman and two time presidential candidate, Dennis Kucinich, says Guantanamo is a symptom of America's ongoing post 9/11 anxiety. Kucinich needs to come out and say that Obama has been corrupted which 'prevents' him making any moves to close Guantanamo and end the War on Terror. In this episode of the Keiser Report, Max Keiser and Stacy Herbert discuss the big picture of bank holidays and wealth confiscation in order to pay off the $100 trillion error account banksters basically admitted to having at Davos in 2011. In the second half of the show, Max Keiser talks to Reggie Middleton of BoomBustBlog.com about Cyprus, the rules that have been revealed and his upcoming special investigation on certain European banks he's discovered have been committing fraud. A great episode that covers what is going on with the Cypriot mess. the Debunking the Debunkers page. At CPAC, Luke Rudkowski interviewed Congressman Timothy Huelscamp on his decision to vote against the NDAA which was due to the unconstitutionality of the indefinite detention provision. They also discussed Obama's Disposition Matrix and the large ammunition purchases made by the DHS. Ten years ago, the US entered Iraq with two goals in mind: depose of Sadam Hussein and locate and take control of the country's alleged weapons of mass destruction. The Bush Administration promised the war would be quick, cost effective and require few troops. RT Correspondent Meghan Lopez separates fact from fiction on the tenth anniversary of the Iraq war. RT needs to mention that the neocons deliberately lied about Iraq in order to launch the unnecessary war. Ben Swann Full Disclosure talks with Emilio Ibrahim, a Syrian man living in Damascus about the U.S. and Saudi funding of Al Qaeda fighters who are leading the so called Syrian revolution. 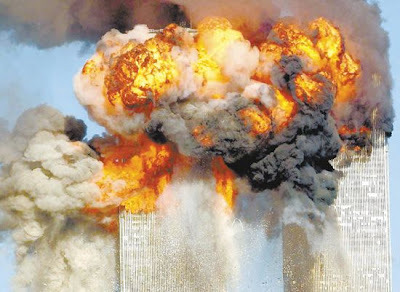 Cheney recently said there was a shootdown order, a statement contradicted by the 911 Commission. Often liars cannot keep their facts straight. The interview also covers other key facts about the post 911 'investigations'. Abby nails it when saying that these attacks are the crux of everything that has followed since - in terms of the war on terror and geopolitical escapades (ie actions violating the rule of Law). It looks like only the truth about 911 will free us from the on going corrupt system. Even if you don't fully accept how Dawson has characterised the situation he is making a very good point - that the more 'outlandish' the claims being aired in public, with associations to things way outside normal people's experience, or to racist themes, the less likely it is that ordinary people will even want to look into evidence of a large scale conspiracy. When legitimate criticism is associated with material that suggests mental illness, the 'well of truth' is poisoned. This is a key problem for many in our society and this needs to be overcome to allow for a level of intellectual progress in the general population. The responsibility of the news media is to present news from an objective stand point. But according to a new study by the Pew Research Center, MSNBC is becoming more and more opinionated. It all depends upon the opinion being pushed. If the opinion backs an untruthful assessment of the situation then they are misinforming their audience. At least 56 people have been killed in a series of attacks across Baghdad. The deadly assaults come as Iraq marks ten years since the coalition, led by the US and Britain, invaded the country with their 'freedom and democracy' mission. Historian and political campaigner, Tariq Ali, says it's surprising that no-one has been held responsible for creating havoc in Iraq. The 10th Anniversary of the illegal invasion of Iraq is this year. A rocket attack on a town outside Aleppo in Syria's north has left dozens dead, including sixteen government soldiers. Details on what actually happened on the ground are thin but there are reports chemical weapons could have been used. Both the Syrian government and the opposition are accusing each other. Neil Clark, a journalist who's written extensively about Syria, joins RT studio from Oxford in the UK. A great explanation as to what is going on inside Syria. In this age of manufactured terror, one of the most vital regions on the global chessboard is also an area that few in the West know anything about: Central Asia. This geostrategic and resource-rich area on the doorstep of China and Russia finds itself in the middle of an all out terror campaign. But, as key national intelligence whistleblowers are pointing out, these terrorists are working hand-in-glove with NATO. This is the GRTV Backgrounder on Global Research TV. The Cyprus Bailout is the result of years and years of escalating attacks against taxpayers all across the world. This bailout is in reality a grand theft. The European Union is offering the island nation a supposed 13 billion euro bailout that will come at the cost of having bank accounts taxed 9.9%. Small accounts will be taxed 6.7%, while people with larger savings will lose at least 9.9% of your money. This is never happened before. And you can beg your bank account that it will happen again. I think this is a test run for something bigger. This is why bailouts don’t work. 1. Bailouts are essentially legalized theft. A transfer of wealth from one group (usually taxpayers) to a privilege group (usually bankers). 2. Bailouts prevent failed leaders and ideas from failing. This encourages the group to continue the behavior that led to failure in the first place. 3. Bailouts punish the successful companies and groups by stealing from them and destroying true competition. In this episode of the Keiser Report, Max Keiser and Stacy Herbert discuss Jamie Dimon punching above his weight as a tapeworm and bragging in court documents that he, essentially, had two former Treasury Secretaries on his payroll. They also discuss investors missing out on the 'rally' for fear of 'Too Big to Jail' tapeworm-banksters being bailed out at their expense. In the second half of the show, Max Keiser talks to author, Josh Rosner, about his explosive new piece, "JP Morgan Chase: Out of Control." They discuss the London Whale as a systemic and sticking the taxpayer with JP Morgan's bad Washington Mutual debts. Syrian state media accused rebels of firing a chemical weapon for the first time on Tuesday in the north of the country on Tuesday, killing 15 people. Rebels quickly denied the report and accused regime forces of firing the weapon. Neither of the accusations could immediately be verified. The Syrian state news agency SANA said “terrorists” fired a rocket “containing chemical materials” into the area around the village ofKhan al-Assal in the northern province of Aleppo. The regime regularly uses the term terrorists to refer to rebels fighting to overthrow authoritarian President Bashar Assad. SANA said about 15 people, most of them civilians, were killed and a number of others were wounded. An activist in the area said rebels had recently seized much of the village of Khan al-Assal including a facility that housed a military academy. Syria’s President Bashar Assad has pleaded for BRICS countries to mediate the on-going conflict in the country, according to a close adviser. "Today I passed a message from President Bashar al-Assad to President Jacob Zuma, who will preside over the March 26 BRICS summit, on the subject of the situation in Syria," senior adviser Bouthaina Shaaban told AFP. "In this message, President Bashar al-Assad asks for intervention by the BRICS to stop the violence in his country and encourage the opening of a dialogue, which he wishes to start." BRICS is a bloc of up-and-coming economies comprising Brazil, Russia, India, China and South Africa. The request is a reasonable one since it was the West via Turkey that had planned and trained armed fighters to overthrow Assad from day one. There would have been no war except for outside assistance. The first short clip explains why there was an agenda to attack Iraq. The second clip goes into more detail as to how the agenda was enacted. Posted for those that don't like being lied to with thousands being killed for no good reason. Washington has scrapped a key phase of its European missile defence shield, citing a lack of funds and development problems. The United States will deploy additional ground-based missile interceptors on its Pacific Coast instead, in what is said to be a response to Pyongyang's recent nuclear threats. Former MI5 agent Annie Machon, believes Washington is using the threats from North Korea as a pretext to gain more influence in the pacific region. The threats being pushed by the USA do serve geopolitical interests but they also serve the corporate rent seekers. Failed programs and tons of useless weapons are still paid for by the Government and help the short term price of defence stocks. The longer the fear factor can be kept going the longer the money keeps being spent. Of course if there is real conflict - fighting on the Korean peninsula that does not expand far outside the region - debt-money will be required to rebuild and re-arm after the war. This is an ideal situation for many corporate interests. According to the Air Force’s website, the Tethered Aerostat Radar System, or TARS, is an aerostat-borne, surveillance program. Using the aerostat as a stationary airborne platform for a surveillance radar, the system is capable of detecting low altitude aircraft at the radar’s maximum range by mitigating curvature of the earth and terrain masking limitations. TARS provides a detection and monitoring capability along the United States-Mexico border, the Florida Straits, and a portion of the Caribbean in support of the Department of Defense Counterdrug Program. The real reason to shut down this part of the air defense radar system is to make it easier for drug flights to come in from Mexico. The plan is to destroy the US through drug wars and allow for a tighter Police State or Martial Law. The Department of Homeland security has billions of rounds of ammunition and Armoured Trucks for this scenario. Following is a speech delivered by David Shoebridge in the NSW Legislative Council on Thursday 14 March 2013. A shouting match broke out in the chambers of the New South Wales (NSW) Legislative Council chambers on Thursday during a motion debate about a 'Study Mission to Israel' hosted by the NSW Parliamentary Friends of Israel under the auspices of the NSW Jewish Board Of Deputies, attended by a delegation of NSW Parliamentarians last January 6-10. While Legislative Council members who were part of the delegation sang the praises of Israel, Green Legislative Councillor David Shoebridge (video above), Labor Legislative Councillor's Shaoquett Moselmane, and Lynda Voltz had a few other topics to discuss. The Jerusalem Post reported on it here, and below is the transcript of a portion of the debate, it gets wild, I recommend: (view transcript at link above). News that the International Monetary Fund initially demanded to loot a shocking 40% of savings from the private bank accounts of Cypriots underscores how residents of the Mediterranean country could be the latest victims of the infamous “IMF riot,” as the chief economist of the German Commerzbank calls for Italians to be similarly plundered for 15% of their savings. The government of Cyprus is set to vote today on enforcing a “tax,” which in reality is nothing less than a confiscation of private wealth, that would hit savers with between 100,000 to 500,000 euros with a levy of 9.9%. Those with over half a million euros will face an even higher rate of 15%. Now that the dictatorial EU and IMF have simply set about stealing the privately accrued wealth of lifetime savers in Europe, everyone is asking one question – who’s next? The asset stripping is on. This was predicted by Max Keiser years ago when the financial crisis unfolded. In this situation the Cypriot banks, under the direction of the ECB, bought Greek bonds that have now caused huge losses. The only hope of the people where the banks are overburdened with debt is to do as Iceland did and let the banks fail, protect the people's savings and prosecute any criminal activity perpetrated by the bankers and government. Based on three separate scales of autism severity, the researchers also found that higher blood levels of toxic metals were associated with more severe cases of autism. In fact, between 38 and 47 percent of all variation in autism severity could be explained by varying heavy metal levels, particularly cadmium and mercury. This made toxic metal burden the single "strongest factor" predicting severity, the researchers said. "We knew that exposure to lead makes people lose IQ points, and clearly it can induce autism," lead researcher James Adams said. "The study also showed that people with the highest levels are least able to excrete them." Our artificial environment may be the leading cause of illness rather than genetics. We are looking at the more subtle 20th and 21st century equivalent of the lead poisoning seen in the 19th century. More than a hundred prisoners at the Guantanamo camp have been on a hunger strike for five weeks now, in a desperate attempt to draw attention to their dismal plight. The strike was launched in protest against the confiscation of personal letters, and the rough handling of their Korans. Their lawyers and human rights activists are sounding the alert over their critical condition, but US military officials claim nobody's in danger. None of these people ever represented a threat to the USA. Al Qaeda did not destroy those three buidlings in New York on September 11, 2001. But the scientific case against the agreement is building up, most recently when the European Committee on Radiation Risk (ECRR) called for its abandonment at its conference earlier this month in Lesvos, Greece. At the conference, research was presented indicating that as many as a million children across Europe and Asia may have died in the womb as a result of radiation from Chernobyl, as well as hundreds of thousands of others exposed to radiation fallout, backing up earlier findings published by the ECRR in Chernobyl 20 Years On: Health Effects of the Chernobyl Accident. Delegates heard that the standard risk models for radiation risk published by the International Committee on Radiological Protection (ICRP), and accepted by WHO, underestimate the health impacts of low levels of internal radiation by between 100 and 1,000 times – consistent with the ECRR's own 2003 model of radiological risk (The Health Effects of Ionising Radiation Exposure at Low Doses and Low Dose Rates for Radiation Protection Purposes: Regulators' Edition). This is important information in relation to the Fukushima disaster that involved the full meltdowns of three reactors. Radiation is an extreme hazard not to be taken lightly. On this episode of Breaking the Set, Abby Martin calls out the corporate media for fixating on how the sequester is affecting White House tours while ignoring the devastating effects federal budget cuts are having on the poor. Abby then talks to BTS producer, Manuel Rapalo, about UFO phenomena by highlighting a few notable cases of UFO sightings in the US. Abby then talks to Max Keiser, host of the 'Keiser Report', banks that are 'too big to prosecute', Wall Street's influence over Washington and the state of the global economy. BTS wraps up the show with a look at the case of Stephen Slevin, who was confined in isolation for almost two years after he was charged but not convicted, and examining the use of solitary confinement as a form of torture. Not a bad segment on UFOs! In this episode of the Keiser Report, Max Keiser and Stacy Herbert ask why China fears currency war. They also look at Johnson & Johnson's big loss on Venezuela's currency devaluation and what this means in a currency war world where major devaluations can happen at any moment. In the second half of the show, Max Keiser talks to Jim Rickards, author of Currency Wars, about which nations are winning the war. Excellent episode especially the second half. The bloody conflict in Syria has reached a third year - and yet some European nations want to pour more weapons into the crisis-torn country. EU Foreign Ministers will look at the possibility of lifting an arms embargo on Syria next week, after France and Britain made a major push to put more guns into the hands of anti-Assad forces. The civil war has already claimed an estimated 70 thousand lives. RT's Maria Finoshina has followed the nation's plight from the beginning. Rather than moving slowly to democracy this outside push is destroying the country. The 'rebels' were armed and trained in Turkey from the outset. There would have been no war if there was no outside help. US and China are not just sizing up to each other militarily. The two powers are also moving closer to a digital war after Barack Obama promised Beijing 'tough talk' over alleged cyber attacks. That's as the US military is creating special units to launch offenses in cyberspace in response to further attacks. Beware of the US blaming all their troubles on China. The source of many attacks are from the USA. And if there is an economic collapse due to the rigged stock market and the bond market falling apart you will see the US trying to shift the buck - perhaps with false flag cyber attacks on their own computer systems. Max Kesier: American GDP, Fact or Fiction? In this edition of the show Max interviews Dan Collins from thechinamoneyreport.com. He talks about whether the United States economy is really larger than the world's second, third, and forth-largest economies combined? The US GDP numbers are fiction. This is an interview Professor Griff of Pubic Enemy gave while shopping in Georgia's number one African-American Bookstore (Nubian Bookstore). This was from July 2008. Professor Griff was not fooled. Great video showing how over 50% of your tax goes straight to funding war. And while they pretend they don`t have enough to fund schools and hospitals, you know they are lying. The leaders of Britain and France claim they could well supply weapons to the Syrian rebels despite a UN embargo. Russia responded by saying any attempt to do so would be a breach of international law. RT contributor Afshin Rattansi believes it'll eventually backfire on western countries if they arm rebels in Syria. Those in power in the France and the UK only want to get rid of Assad because he has supported Lebanon and the Palestinians. If they were concerned about humanity they would act against the oppressive dictatorships in Yemen and Bahrain. The West through Turkey, Qatar and Saudi Arabia have already armed the Syrian rebels. The talk about directly arming them now, including the mercenaries that have poured into the country, denies the damage already done to the lives of the Syrian people. What we are seeing is the mechinations of proxy warfare for larger geopolitican interests - we see duped Islamists serving the interests of foreign powers. There should be sanctions on the UK and France for their involvement in creating this conflict. Iran cannot produce enough highly-enriched uranium for a nuclear weapon without being found out by the international community, the US National Intelligence Director told Congress. He also countered claims Tehran had decided to build an atomic bomb. Developments in Iran’s nuclear capabilities intended to “enhance its security, prestige, and regional influence” would ultimately “give the Islamic Republic the ability to develop a nuclear weapon,” US National Intelligence Director James Clapper told a Senate panel during an annual report on global threats on Tuesday. Despite these advances, "we assess Iran could not divert safeguarded material and produce a weapon-worth of WGU (weapons-grade uranium) before this activity is discovered," he continued. His assessment reiterated last year’s analysis from intelligence agencies stating “Iran’s nuclear decision-making is guided by a cost-benefit approach” which had subsequently precluded efforts to build a bomb. In this episode of the Keiser Report, Max Keiser and Stacy Herbert discuss the Wall Street clients who have no yachts and the American workers taking on second and third jobs. They also discuss the trillions in debt incurred just to keep the economy going nowhere. In the second half of the show, Max Keiser talks to Steve Keen, author of Debunking Economics, about central bankers smoking their own belly button lint with Ben Bernanke behaving like an Easter Islander trying to rescue the past. Professor Keen says we need to get back to a capitalism where we borrow to build a factory not to build a derivative to rip someone off. And, finally, they discuss Keen's Kickstarter project called Minsky, reforming economics with visual monetary modeling. Great info on the US unemployment figures among other things. This is also a really good episode to watch about the disconnect between the real economy and the stock market hype. Second half is a must see too. Real protection from fraud and corruption is needed. We are victims of a long running con job being perpetrated by special interest groups. The Arab League has officially given the green light for the offering of military support to the foreign-backed militants fighting against the government of Syrian President Bashar al-Assad. Awesome George Galloway summation of the Syria crisis. Also features commentary on Hugo Chavez with callers exploring these topics in more detail. At least watch the first half that is 25 minutes. I suspect what is being planned is a "virtual" 9-11; a 'terror' attack carried out in cyberspace, instead of the real world. I view this is highly likely based on the recent surge ofThe third and final option, and the one I am starting to think is the most likely, relates to the sudden flurry of media stories and statements by people like Joseph Lieberman about how Iranian hackers are attacking the US financial system computers. (Senator Lieberman has also been pressuring Obama to sign an executive order to take over the internet.) Of course, the common sense approach still applies. Why would Iran, which wishes to avoid a war, do something that provocative. But we know that the US and Israel are behind the cyber-weapons like STUXNET, DUQU, FLAME, etc., that these cyber-weapons were directed against Iran, and that one variant specifically targeted banks in Lebanon and Iran. We also know that the US financial system is stretched to the breaking point, and we know that if the government of either Greece of Spain is driven from office by angry protests, credit default swaps sold by Wall Street against those debts come due, and there is no money to pay the claims. The Euro might even collapse, and that would trigger even more Credit Default Swaps. So the final option, one that strikes me as very likely, is that Israel will take down the US financial computers, and blame it on Iran. This also gets Wall Street and Washington DC off the hook, because now the financial melt-down is an act of war, rather than the result of decades of Wall Street crime and corruption and the predations of Private Central Banks. US banks have already been hit with cyber attacks over the last two weeks, to set the stage. And this would also explain why the US corporate media has paid scant attention to the riots in Spain and Greece so that Americans still dependent on ABCNNBBCBS will remain oblivious to the fact that the Euro is falling apart. This scenario also explains the testing of means to interfere with DNS to silence websites that may offer opposing interpretations of events (this too will be blamed on Iran). Such a cyber false-flag also gives the US Government the excuse to take total control of the internet so that those pesky truth-seeking bloggers don't give the slaves uppity ideas that this is just another war-starting hoax like the attack on the USS Liberty or 9-11. Beijing's been rapidly growing over the last two decades - at a speed which has brought it close to the traditionally major economies - including the US and even allowed it to surpass Europe's powerhouse, Germany. That's slowed down a bit recently but, China's still expected to overtake the US as the world's biggest economy in 2017. The economic rivalry comes amid the battle for influence in Asia between the two. Great clip except that China has already passed the US as the world's biggest economy when you factor in reality. The US is only bigger thanks to the financial fraudsters on Wall Street and those making up the official US figures in Washington.